In 2013 Damontre Moore was a 3rd round pick by the New York Giants out of Texas A&M. 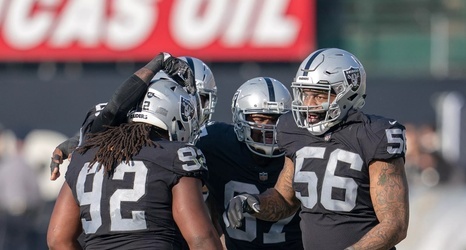 He had 9.5 sacks in his first three seasons and the last three seasons he’s been unable to stick with a team, appearing in just nine games combined with the Seahawks, Cowboys, and Raiders. Last season, the Raiders were desperate for pass rush, so prior to week 13, they signed Moore to the roster. He would be with the club for two games before behind waived again. In those two games, he put up one tackle and one QB hit.